Planning a Private Party, Wedding, or Special Event ? All in Red adds the excitement of live music to any event! We play a wide range of musical styles tailored to your needs. Song requests accepted and announcements made at your request. 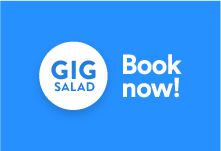 Safe and secure booking through Gig Salad!